Last Wednesday marked the beginning of the CAL for Comet the Unicorn by Projectarian. All those who purchased the pattern will now be receiving a part of the pattern every week until December 12th. 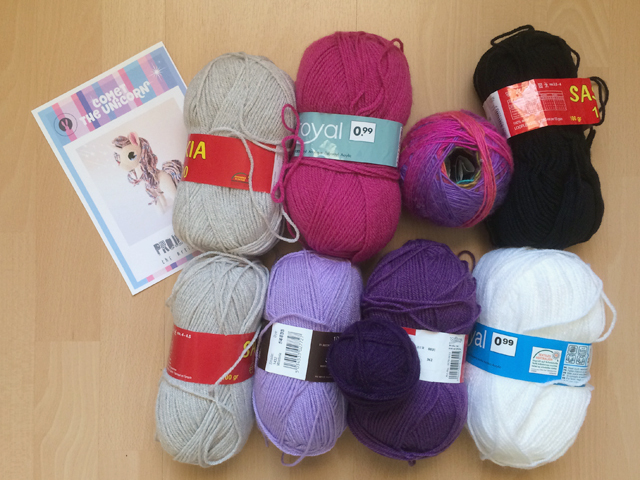 After I purchased the pattern, I started digging in my yarn stash. 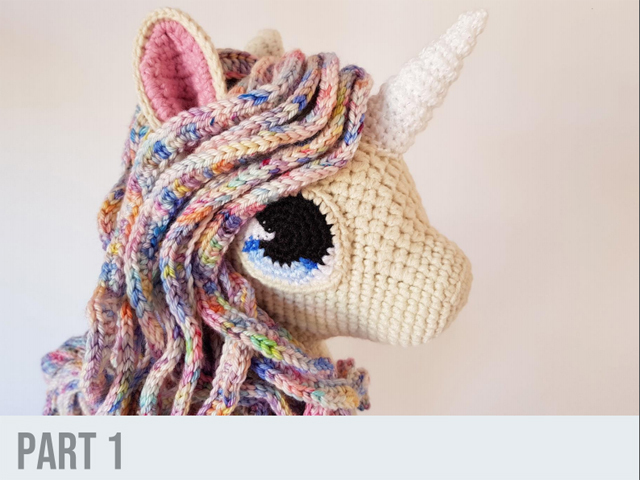 I refused to buy new yarn, since I have more than enough lying around that I should be able to find yarn that could do this unicorn justice. In fact, it turned out that it wasn’t difficult to find possibilities, but rather difficult to narrow down the choices. After going back and forth for a while, I eventually decided on these colours. The unicorn will be a very basic colour, somewhere between beige and grey. Her eyes will be different shades of purple. Her hair will become a mix of a variegated rainbow and fuchsia pink. 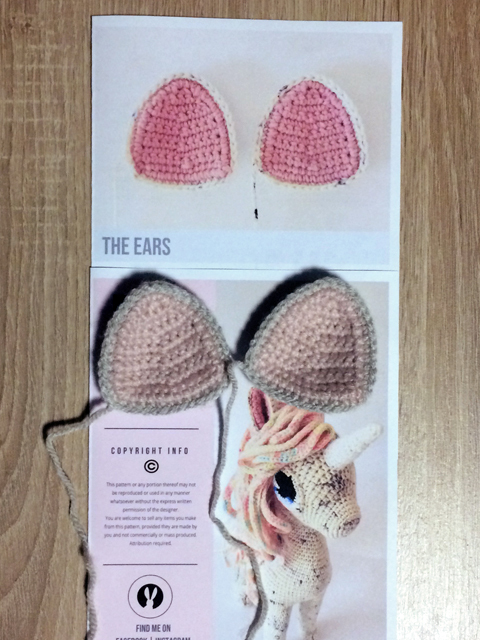 Unfortunately, I didn’t manage to find enough time to crochet the entirety of the first instalment, but I did manage to make her ears. Who else is making this beauty? And what colours did you go for?